We are looking forward to the 2018 campaign which is sure to bring more moments in cricket that will go down in folk law and more youth products standing up to be counted in the adult game. With a new man at the helm RCC 3’s had a solid season last year and were be disappointed to miss out on a runner up medal in a league that was dominated by Hardwicke as the only unbeaten team in the league. RCC 3’s did however beat the eventual league runners up Frocester both home and away in two very entertaining games and they will almost certainly take this as a confidence booster into the 2018 season. The season got off to a great start with a hotly contested affair with newly promoted Painwick, a match winning innings from bowler turned batsmen Gilly bludgeoning 78 not out to bring the win home, however the consensus was that, was as bad as we had played for some time and improvement was needed if we were to make a run in the league this year! Unfortunately, the response was not forth coming after a first loss of the season coming at the coliseum of cricket (the common to those not in the know). Eastcombe who are always a tough prospect taking the honours with the Rockhampton batsmen once again not holding up their end of the barging, leaving potential match winner Will Cullimore left stranded 73 and bowler Jordan Harding (6-44) wondering what more he could have done! Two top performances were however to follow with bowlers dominating proceedings bowling Slimbridge out for 44 and Uley for 106 both games including a hat trick, Matt Taylor (4-5) and Davis Newcombe (19-6). Having won three out of four you could not blame the new skipper feeling confident about going to league leaders and probable favourites Hardwicke but he had to hear from afar (owing to him not being available for the top of the table clash) and how the demons in Hardwicke’s pitch had wreak havoc again with 13 wickets falling in just over 50 overs, despite the loss there was pleasing reports of a young Max Curtis scoring a steely 59 of the 107 score by the Rams on the day. With the return of the Skipper and Carl (the Bear) Boucher back from whatever far flung country he has spent the Winter hibernating; the Rams took on eventual league runners up Frocester. Frocester got off to a good start with their oversea player taking a liking to the small boundary at the common, enter the bear who eventually removed him for a impressive 73, with Bear and Davis holding up one end, young Will Biggin put his slinger (no it is not a typo) to work removing 3 of the top 5, leaving the Rams eventually chasing 177 to win. In reply the Rams got of to a stuttering start with the top 4 chipping in with 15’s and 20’s at a very pedestrian pace with Dave Long for company batting at as equally slow pace. Enter the skipper who horribly out of form and at his wits end, decided to smack their 12 year old spinner in to the next field, fortunately for the skipper Longy had now fallen and the Bear had joined him taking his lead from his partner at the other end. A mis time shot saw the skipper depart to a finger tip catch setting up a tight finish but Ed Brisco seeing this batted in the same vein unfortunately not seeing through, leaving Davis Newcombe to reverse sweep the ball for four in the last over to bring the Rams home. Now you are probably thinking that the skipper has been rather indulgent in speaking about himself in the last paragraph but the truth is other than winning tosses and berating the youngsters in the team is the only game in which he actually put in a performance worth a word in the English language. So with team back to winning ways next up was Harefield and the return of another youth product, Rowen Cartlidge (former 1stteamer) who was undoubtedly conned in to playing by the new skipper with the promise of the prospect of playing at the aforementioned coliseum of cricket but what the wily captain forgot to mention is that this game was away. In searing heat and much to the disgust of his bowling attack, the captain won the toss and elected to field, over confidence perhaps or plain stupidity, only time would tell. In one of the most bizarre batting displays and bowling (from the full bunging brigade) Harefield posted 119 – 5 from their 40 over and with two of his bowlers being asked to stop before their over restriction kicked in the skipper was feeling a little lucky. With a return to the team of Rob Gill and no bar at the ground, he was sent in to open the batting and get on with it, after 3 overs and having blocked the majority of the balls he departed for a measly 3, he probably saw the Bear and Rowan (I could find the strip) Cartlidge sun bathing is the 30 degree heat. Enter Sammy Downes (41*) who along with a masterful inning from Chris (if I were captain) Collins (43) brought that Rams to the brink of victory, enter skipper Bainbridge who could not get a handle on their senior bowler “Shinsy”, you have to see it to believe it and thoroughly embarrassed himself for 4 overs before edging one for four and the victory. So back to the common and a fully laden bar to welcome the visitors Randwick, the common was looking fantastic albeit alien to the Randwick boys as they were now playing on a flat pitch and I am not just talking about the wicket. Having faith in his bowlers Randwick were inserted and took to playing on the common like the ducks that often frequent it during the winter to water. Ryan Tyler (53-3) bowling his now legendary tweakers having put his seaming days to the pages of history, unfortunate for Ryan his spin twin was Dave (the crab) Long who earlier in the day had tried to decapitate the oppo’s umpire following the fall of a wicket. It was almost certainly for this reason that they decided to hit him to all part for the common, losing what had been a rather impress ball collection the skipper had begged, borrowed and stole up until this point, seeing his 10 over go for over 75 runs. 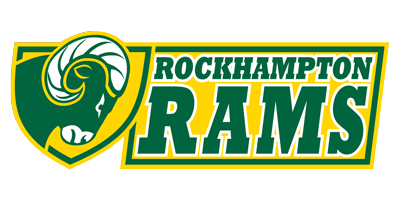 A big effort was needed to chase down the 238 that Randwick had posted and despite cameos from the lower order the Rams ran out of luck and ideas succumbing to a 37 run loss. With Bisley now being removed from the league the next vistors to the common was Painswick marking the halfway point of the season. With only 9 men on arrival and a damp’ish track Painswick unsurprisingly elected to take the field and this would come back to haunt them although the early signs would suggest other wise with Messer’s Collins, Long and Bainbridge departing cheaply but two masterful innings from Sam Downes (108) and a returning George Williams (101*) took full advantage of the open spaces in the field, with Sam Downes falling for 108 and Rob Gill (39*) coming in for another cameo on day that would later come back to haunt Downesy in his hunt for the coveted 3rdteam batting average trophy. Having posted a mammoth 346 the Rams could be forgiven for being rather buoyant. This confidence would prove to be warrented as the Rams skittling Painwick for 120, pick of the bowling going again to Ryan Tyler (3-21) and Dave (the last time was a blip) Long (3-11 from 3.1 overs). Due to some dubious weather cancellations the next game was again at home with the visitors the newly promoted Slimbridge who by now had started to get a handle on premier league cricket. On a very damp and soggy track Bainbridge was delighted to win the toss and insert the visitors and with 3rdteam Ben Stokes back for the 3’s Slimbridge were understandably not looking forward to batting. Although Tay’s was back he was not able to replicate his five for not a lot like in the away fixture and so it was down to the spin twins again Tyler (2-28) and Longy (5-38) who had obvious taken to heart the mick taking from his display and antics from the Randwick game, Slimbridge were finally all out for 158. Fresh off of taking his five for, Longy (34) demanded that he opened the batting despite retiring from this positions earlier in the season, I am sure by now we all know which game I am talking about. Along side him Tays (50) who if he could get at Slimbridge with the ball he would with bat easing Rockhampton to a 5 wicket victory. A home fixture against Harefield would follow on another damp track the Rams were inserted and were quickly staring down the barrel of a shock defeat with both Collins Snr and Williams departing for single figures, but the middle order were able to piece the innings back together, Collins Jr (41), Bainbridge (22) and Taylor (26) and post a meagre total of 149 all out from 34 overs. Enter the 3rdteam Ben Stokes of earlier in the season ripping through the Harefield line up with figures of 5 for 12 off 8.5 overs, it has already been noted but must be reiterated it was a very bowler friendly wicket. The last fixture of the season would see the Rams travel to possibly the most unique away ground on the calendar in Randwick, truthfully seeing is believing when it comes to this ground, you could be excuse for thinking that you are fielding on the Hillary step of Mount Everest. For the last time this season the skipper would win the toss and elect to field knowing a win would force Frocester to match or better the result for the now much coveted league runners up spot. Out for revenge the Rams opening up with Jordan (2-38) and Cammy who carried on from his late season form to return figures of 10 overs 2 – 13 including 5 maidens. Restricting the home side in the early stages of the match, as ever this game was not without controversy as Dave Long once again proceeded to verbally attack the square leg umpire when a stumping off his sons bowling was not given, although this was not without merit as the batsmen was clearly a foot outside his grounds but what was the most amazing part of it all was that Dave was able to see this from deep mid off. Fortunately for us we manage the games ourselves and Dave will once again escape a formal league reprimand. To top off a truly stunning bowling display Skipper Bainbridge who had clearly had a larger portion of his breakfast consisting of Thatchers and Marlboro Lights decided to turn his arm striking with his first ball of the season, Randwick did however manage to see out this onslaught and finished on 152-9 from their 40 overs. In reply the opening pair of Collins and Williams failed again, this is now the third time in 4 innings against Randwick where the Vice Captain has failed to trouble the scorers. Fortunately a fantastic 69 from Sam Downes and cameos from the remaining order saw the Rams home with 10 overs to spare. It was however all in vein as the Rams weren’t able to better the results of other team and finished a respectable 3rdin the league, a lot was learned from the season and Bainers and his troops will be looking to push on and gain promotion in the 2018 season. It should be noted that none of the above could of take place without the efforts of Ian Williams without whom we would not have a wicket, Mick Hancocks for ensuring that the bar was full stocked and bar coolers running, Rupert Fergie-Woods for general ground maintenance and Hannah Williams for producing fantastic teas even if it meant getting in the way of revision week in week out. In a final review of the season it has to be said that it was a positive season, yes we would of like to of come away with it with at least a runners up medal or promotion but the individual successes that came out of it is probably the most pleasing. In Sam Downes we saw a breakout season with the bat, picking up young player and players player at the end of season awards, a feat I don’t imagine will come around in some time unless of course Ryan Tyler continues his meteoric rise as a spin bowler which has a lot of people including the newly appointed 1stcaptain talking. Talking of spinners, it was fantastic to see the 3rdsupplying the 2ndteam with a new tweaker in Davis Newcombe. The 3rds played a total of 24 different player throughout the season which is great credit to the strength and depth we have in our youth section of the club, notable mentions need to go to the likes of Max Curtis, Will Biggin, James Rodgers and Josh Stuart all of whom I will be looking forward to seeing in the 2018 season. Jordan Harding who toiled away week in week out when he wasn’t old banger racing and giving me 10 overs ever week and nicking the bowling averages to boot. I am also forgetting mentioned one other, Henry Low who was a captain’s dream, never complaining about the batting order, keeping me from going completely insane and having to have Sam Downes keep wicket muttering complete nonsense for 40+ overs.